Gwen Wellington grew up near the Rocky Mountains in southern Alberta. After graduating from High School, she studied music and theology for four years at a Bible College. Following graduation, she established a Christian Education Resource Centre for a denominational conference and served for several years on a lay ministry team in her home church. After studying clinical social work, Gwen worked as a psychotherapist for 24 years, eventually specializing in psychological trauma. 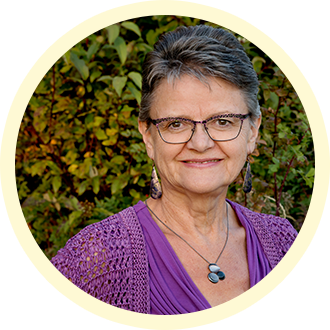 Gwen now lives in Cranbrook, British Columbia, where she is creating books and courses designed to enable people to enhance the quality of their lives by drawing on their relationship with God.